Help editors by reporting errors, problems, and missing giveaways. The original giveaway pages often disappear after the giveaway ends. You can improve this listing by reporting errors or missing information on the Steam forum. DLC key, requires GRIP base game to activate. This community-made mod requires that you own The Elder Scrolls V: Skyrim. First announced March 25, 2019 only, but later extended until March 31, 2019. No Steam key! DRM-free download from Humble Bundle. "This offer is available only while supplies last, or until March 24 at 10 a.m. Pacific time"
PLEASE NOTE: We ran a promotion back in 2014 where you could reserve your copy of Night Crisis whilst it was on Steam Greenlight. This redemption page will only grant keys to those that participated way back then. The redemption deadline is March 21, 2019 at 10 a.m. Pacific time. open to Level 20+ members, Steam keys activate as "for Beta Testing"
For a limited time, get LEGO The Hobbit and LEGO Lord of the Rings (2 keys) when you subscribe to the Humble newsletter. 3 Hours only. "EXTREMELY LIMITED SUPPLY! KEYS MAY RUN OUT EARLY"
+Free copy that expires IF already owned, can also redeem a free copy of the game as gift certificate which can be gifted to anyone. This gift certificate expires on January 17, 2019 (11:59 PM GMT) UTC+2:00. Keys valid until December 1st. All of the items in this bundle are available for a limited time. Waiting for a new batch of beta-test keys from Valve, then will send keys in a few days. 10000 keys. Closed beta ends October 31, 2018. Must connect using Discord (thus sharing your email), and join the Minion Masters Discord server. Initially was free, but it is in the $1 tier now. This giveaway featured "Mr Rabbit's Alphabet Forest Adventure", "Mr Rabbit's Jigsaw Puzzle", "AMPLITUDE: A Visual Novel" and "a Family of Grave Diggers." On 2018 September 16, the keys for a Family of Grave Diggers were revoked. Add to account for free within the first 24 hours of release. Collect 6 stamps and receive Murderous Pursuits in the Humble Store Summer Sale Missions - Round 3. The ending time of the deal means that only 4 stamps can be collected for free, getting the last 2 stamps requires spending $10 in the Humble Store. Collect 3 stamps and receive Glass Masquerade for FREE! (Humble Store Summer Sale Missions - Round 3). Keys were out of stock within a few hours, even for those that claimed the game. claimable, 100% off until September 15th 2018 at 1:00 AM. Humble Bundle Summer Sale Mission Round 1: Collect 5 stamps and receive The Ship: Murder Party for FREE! Collect 5 stamps and receive The Tiny Bang Story for FREE while supplies last! They didn't last long and if you did not reveal your key, you will see "The key for this product has expired"
Collect 3 stamps and receive Meadow for FREE while supplies last. They didn't last long and if you did not reveal your key you will see "Keys are temporarily exhausted for this product." F2P Get In The Car, Loser! Humble Bundle Summer Sale Mission Round 1: Collect 3 stamps and receive Braveland for FREE! The redemption deadline is September 15th, 2018 @ 10:00 am Pacific. Keys are only available for Alienware Arena members that are Level 10+. The giveaway lasts until 13-June-2018, 13:00 UTC. Free Until June 8 at 11am Pacific. Add the game to your account now and keep it forever! Free forever if you get the game in the first 100 hours! It starts Thursday at 1pm US Eastern time and lasts until Tuesday 5/29 1pm US Eastern time. Collect 4 stamps and receive Fortified by May 28th at 10am PDT. The redemption deadline is June 9th, 2018 at 10:00 AM Pacific. Raiders of the Broken Planet’s Open Beta, all three published campaigns, Alien Myths, Wardog Fury and Hades Betrayal, are available for free on Steam for 48 hours, starting today, May 23rd 7:00 PM CET/10:00 AM PST. Owners of the game can generate keys that activate the demo version. Despite being a limited version, this version still drops cards. 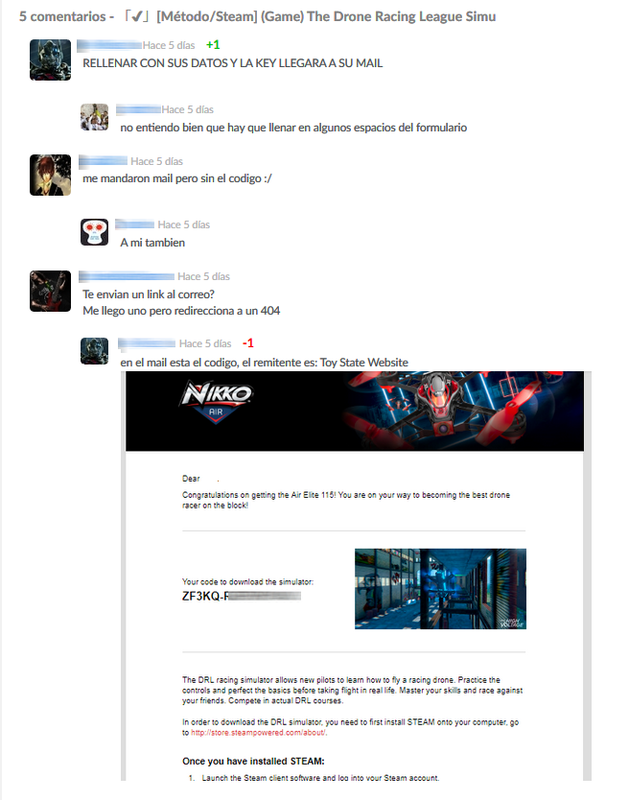 The developer sent free beta keys to those that emailed. Collect 5 stamps, by spending at or visiting the Humble Store, to receive the key. Collect 3 stamps, by spending at or visiting the Humble Store, to receive the key. The redemption deadline is May 26th, 2018 at 10:00 AM Pacific. Immediately after 10AM Pacific on May 26th, the Steam key will vanish (but likely still work if you copied the key). Free Steam key with purchase of a drone. The site no longer sends the Steam key likely due to falsely submitted forms. Immediately after 10AM Pacific on May 5th, the Steam key will magically vanish. this Launcher App cannot be obtained on its own, this Launcher App simply gets added freely to Steam account when any Sega Classic game (which all are listed as DLC to this app) or package of many such games is activated. Price bug: there was the option of paying what you want ($0.01 minimum) for getting a Steam key; it was fixed after a few hours. Official site was offering beta keys, although many requests resulted in error messages. The redemption deadline is April 11th, 2018 at 10:00 AM Pacific. Restocked with 2000 more keys. Given away by Loot Toot using Gleam.io. you can get "Triple Otakus Puzzle" or "Survival driver 2: Heavy vehicles" cd-key for free! Complete tasks to get coins. "we'll be rewarding everyone who already purchased the game with the “H1Z1 Appreciation Pack”, containing the following items: Gasrunner Hoodie / Bloom Survivor T-Shirt / Splinter Camo ARV / 10 Victory Crates / 10,000 Skulls"
The package Amnesia Collection add to your account "The Dark Descent" and "A Machine for Pigs". Sign up for beta key. Game will be free to play upon release. This is early beta version of the game and all progress will be deleted before launch. Beta version Steam keys will be deactivated before launch. 10,000 Steam key giveaway. Must have a public Steam profile and join Fanatical group on Steam. Episode 1 is free, episode 2 and 3 are not. At this time we are giving away 3000 random Steam keys - you can get "Fish for gold" or "Dogcoin" cd-key for free! You can get "Blackscreen simulator", "Glitch Simulator", "ISIS Simulator", "Occult preRaise", "Occult Raise", "Occult RERaise", "Suicide simulator" or "ZAMBI 2 KIL" Steam key. Marking as "Limited" because I'm not sure how many keys were given away. the free version does not have trading card drops? This is a strange one. It's a Steam key for "The World of Evo" - an unreleased game. The redeemed name has a typo and it adds no games to your account. Maybe one day the game will appear in your library if you activate it? We just don't know. If you already took part in the giveaway organized by OrlyGift in June for the same game, then you will get the same key as the one claimed back then. activates sub 195758 "Project L for Beta Testing"
Key redemption deadline was December 30th, 2017 at 10:00 AM Pacific. Unactivated keys were revoked in April 2018. Therefore, if you have not activated your free key, that key will not work.
? Creature Clicker - Capture, Train, Ascend!
? What's under your blanket !?
? Fortune's Tavern - The Fantasy Tavern Simulator!
? The chronicles of Emerland. Solitaire.
? Rats - Time is running out! Left 4 Dead 2 was free from December 25 until 10AM PST on December 26, 2013.